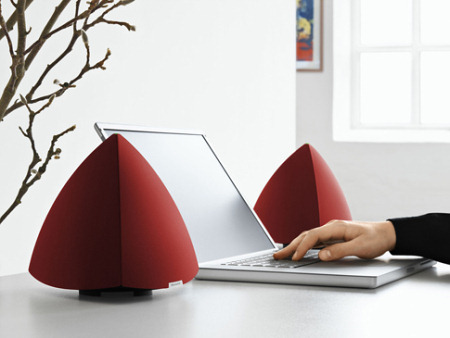 The ICEpower amplification used in BeoLab 4 PC is a patented Bang & Olufsen solution, allowing for ultra-compact design, high power output, and cool operation. Each speaker contains two separate amplifier units – one for treble and one for bass. That is a total of four powerful digital amplifiers in one compact set of speakers! Adaptive Bass Linearisation, another proprietary Bang & Olufsen technology, offers superior bass performance from small loudspeaker cabinets. The commanding performance in the low-end register effectively eliminates the need for a big subwoofer. And even if the office party lasts longer than expected, circuit protection technology ensures BeoLab 4 PC never overheats.